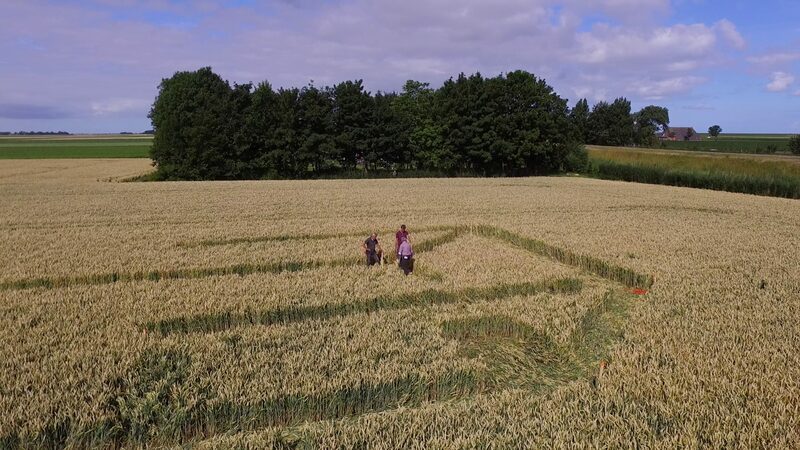 Het Bildt wheat fields art project. Picture this: summer 2018, wheat fields rippling in the wind in het Bildt; the clay land along the Frisian Waddendijk dike. The sight of drawings by several Bildt-based artists carved into the local wheat fields is nothing short of spectacular on this agricultural land, traversed by the straight lines of dikes, waterways and ditches. A long-time resident of het Bildt, artist Henk Rusman, who conceived the project, creates massive statues of steel and stone patterned on the local scenery. 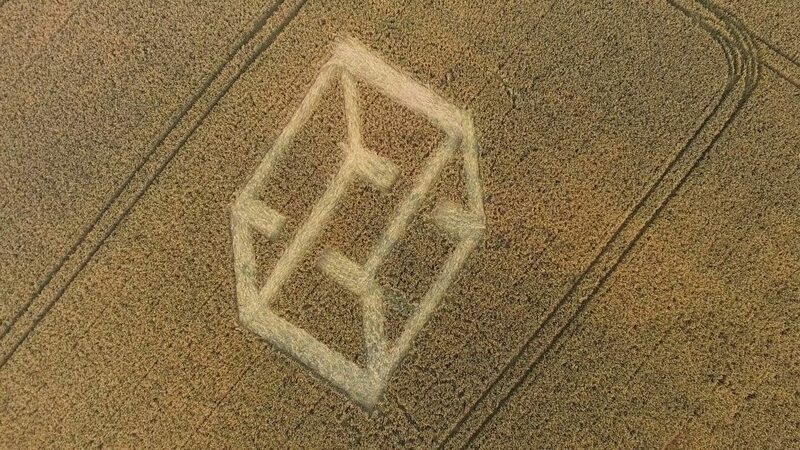 When the artist gazed out across the wheat fields one summer, he had the ingenious idea of creating ‘art in the wheat’. We previously got a taste of this style in 2017, when he and fellow artist Marco Goldenbeld created a work of art inspired by Escher’s ‘impossible cube’. For the 2018 project, Rusman invited several artists from het Bildt to supply designs for his ‘Art in the Wheat Fields’ project. The works were displayed during the Bildtse Aardappel weken (Bildtse Potato Weeks) in 2018. Born in Hillegom in South Holland province, Henk Rusman attended the Stadsacademie and Jan van Eijck academie, two art colleges located in Maastricht in Limburg province. A long-time resident of het Bildt and renowned in the Netherlands and beyond for his larger-than-life works, he received the Bildtse Kultuurprijs, an award acknowledging contributions to local culture, in 1993. Location: Between Oude Bildtzijl (Oude Bildtdijk nr. 14) en De Westhoek (Oude Bildtdijk nr 1018) / Ferris wheel: Stadhoudersweg Nij Altoenae.